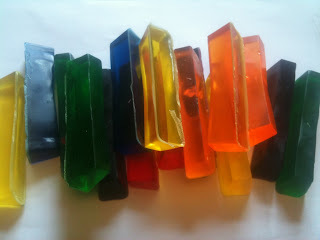 Essentially it's pretty much like making coloured soap, which is, for all you newbies out there (including myself), ridiculously easy to make. I bet you anything, it's easier than you think! Moreover, imagine all the savings by making the crayons yourself! Looking for gift ideas? These bathtub crayons make amazingly cute and fun gifts for any occasion. Hereafter are two different methods for homemade bathtub crayons. Ice cube tray, muffin tins, dixie cups, etc. Ice cube tray, cookie cutters, muffin tins, etc. Cut the soap into smaller squares, or grate it. Put into a glass measuring cup or bowl (microwaveable) and make it melt in the microwave for about 30 seconds. Stir it and microwave for another 10-15 seconds if needed. Once the soap is entirely melted, add the food colouring to the liquid soap and stir. This step is exceptionally fun because it allows you to demonstrate to your children how to experiment with colours. You can teach them how to mix colours and create new ones! After you have mixed your colours into your melted soap, pour it into the ice cube tray. If you can get your hands on the a tray for water bottles it's even greater since they are more crayon shaped. Let the soap cool down and set for approximately an hour before popping it out of the tray. Let the bath fun begin! 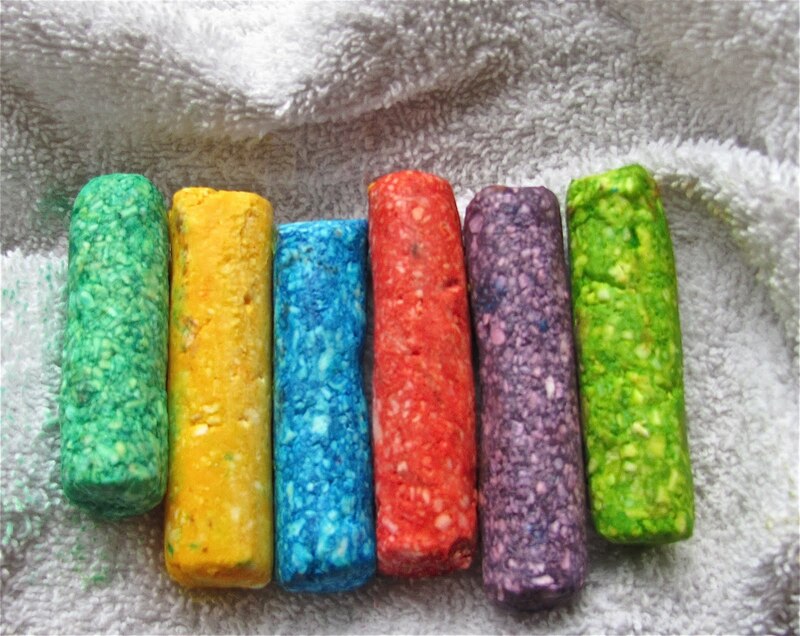 Combine the grated soap, water, and food colouring up till it becomes too difficult to stir. If you are looking for different coloured crayons, mix only the soap and water together, then split mixture into numerous portions. At that point, add the food colouring of your choice into each individual mixture. Be creative! Just as you would knead regular dough, knead the mixture until it becomes very thick and firm. Press the mixture into whatever molds you have chosen, or, with your hands, mold the mixture into large shaped pencils. Place in the freezer and remove after about 8 minutes. Allow the crayons to harden for at least 24 hours before using. I saw your post on fb! This is brilliant. So creative! I will have to put this on our "to do" list. My daughter is crazy about bath time, these would make it a lot of fun for her. oh so cute. I' buy these from somebody if you make them!!! really! How fun! I will have to make these soon! These look like so much fun, I'm sure my daughter would love them! Thanks for sharing the directions! How neat! I wish I had had something like this when I was a kid! I can't wait to make some and see how my son reacts! Such a creative idea! Thanks! What a great idea. That is really so neat! Oh my gosh, I so have to make those!! Awesome!